You can change this by going into the ‘My Account Layout’ tab within each People Category. 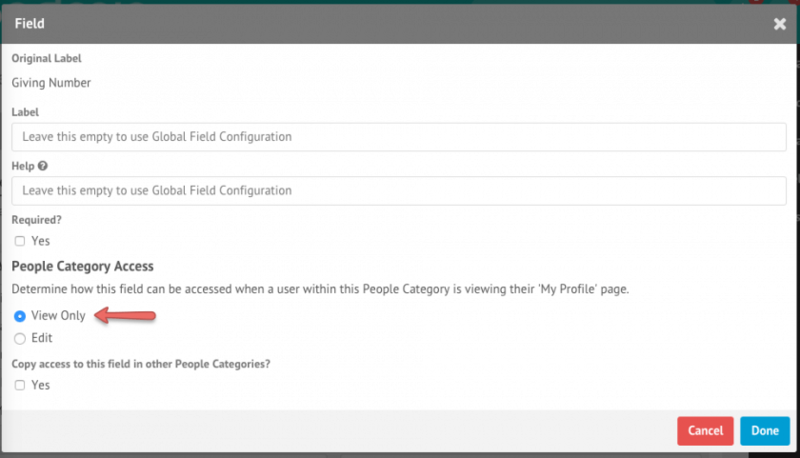 This will allow you to choose what fields the people within a People Category can edit. Each category can have it’s own layout. Just like you would edit the People Category Layout itself, you can click and drag which fields you want your church members to edit. 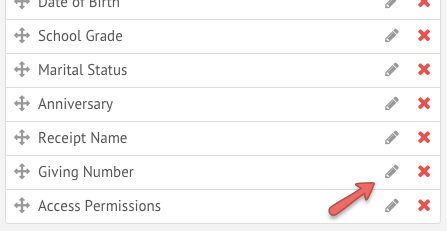 You can set it so different People Categories allow different fields to be edited by the people within that category. This article covers how to edit a people category’s layout. If you want the layout the same across the board, select ‘Copy this Layout’ from the top right-hand side of the page. From here you will be able to copy the layout to other People Categories, and choose what gets copied. To mark a particular field as view only for members select if you want the field to lock down, and click the pencil icon next to it’s name. Then select if users can edit the field, or if it is view only. Once you’ve finished your changes, you’ll want to save both the Field, and the layout.